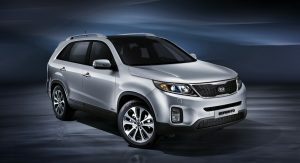 As anticipated, the refreshed 2013 Kia Sorento SUV will make its world premiere at the upcoming Paris Motor Show in France this September. 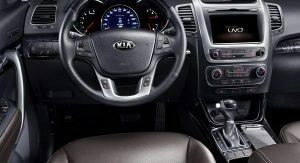 While Kia didn’t release any new pictures this time (the ones you see here are and which accompanied the press blurb are the same as the ones shown in June), the Korean company provided information about the changes under the hood. 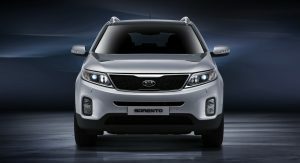 In Europe, the Korean crossover will be offered with three engines, all linked to a standard six-speed manual with a six-speed automatic being offered as an option. 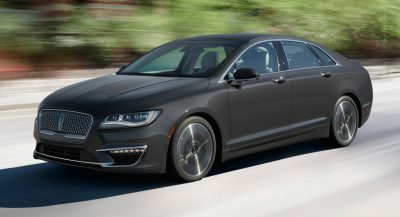 These include a 148hp (150PS) 2.0-liter diesel, a revised version of the 2.2-liter turbodiesel R unit that continues to produce 195hp (197PS) but is now much cleaner emitting 153g/km of CO2, and a new 2.4-liter GDI petrol with direct-injection rated at 194hp (197PS) that replaces the 2.4L MPI unit with 172hp (174PS). 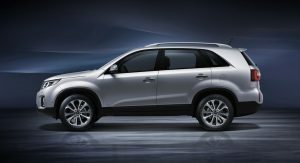 Kia said that in some international markets, the facelift version of the Sorento will continue to be offered with the 172hp 2.4-liter MPI and 276hp (280PS) 3.5-liter V6 gasoline engines. 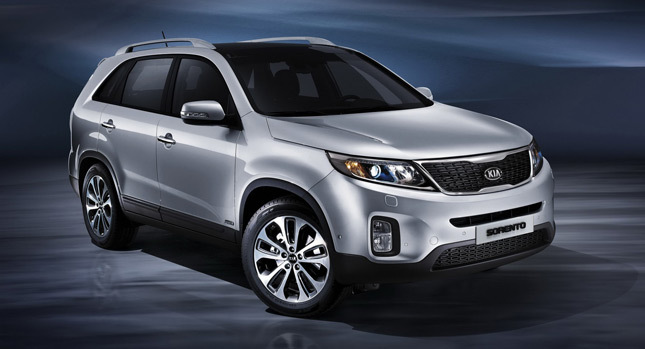 No details were released about the North American specification Sorento that will likely be available as a 2014 model. 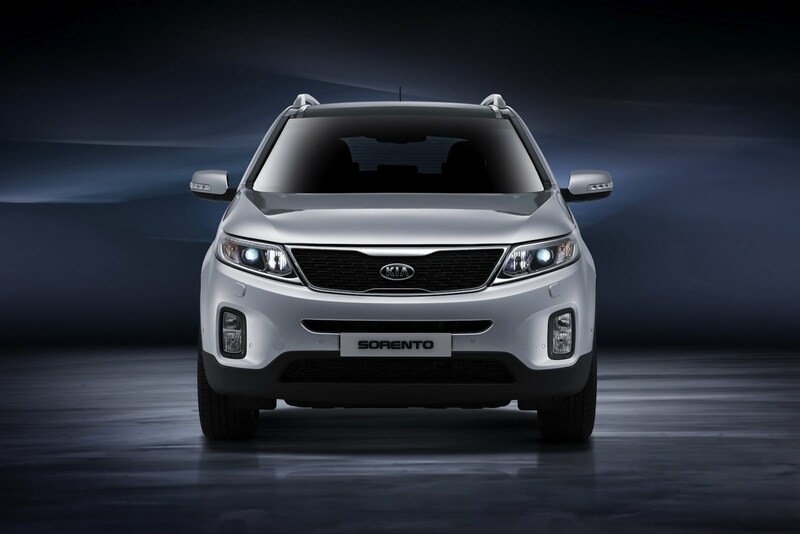 As a quick reminder, the refreshed Sorento gains a redesigned front end with new LED daytime running lights and different taillights at the back, along with a new instrument cluster and center console design inside. 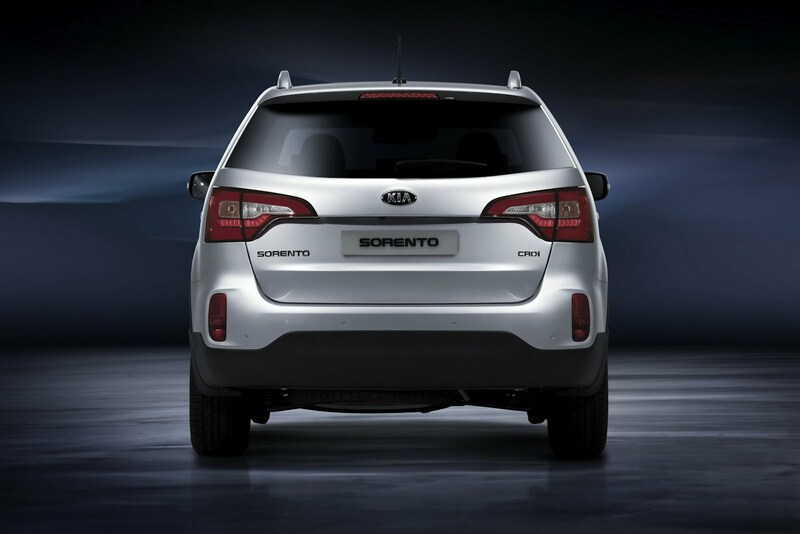 Kia says that the Sorento’s chassis is new, by which it means that it designed a new subframe for the front and rear suspensions which themselves gain new bushings, longer trailing arms on the rear axle and heavy-duty shock absorbers. 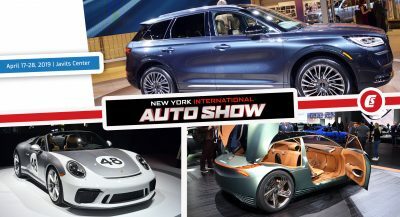 There’s also a new variable ratio power steering system named “Flex Steer” that offers three self-explanatory modes named Comfort, Normal and Sport. “We integrated a lot of customer feedback in the facelifted version. 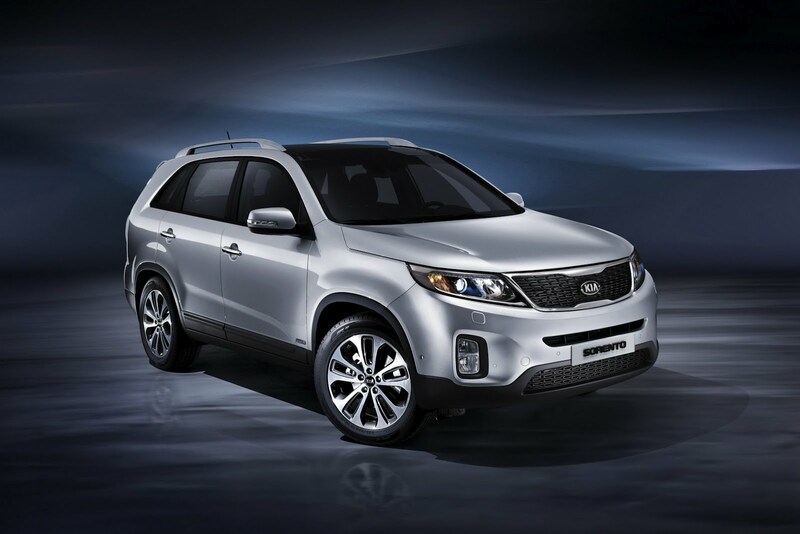 And the result is far more than mere cosmetics: It’s a new Kia model and a major step forward for our popular SUV,” said Thomas Oh, Executive Vice President and COO of Kia Motors. 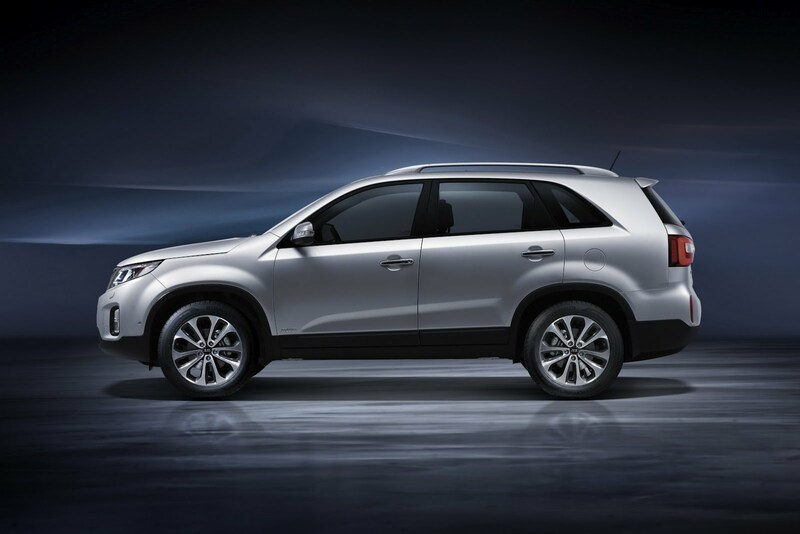 “Despite the economic uncertainty that currently prevails in some markets, we are confident that the revised Sorento will increase with its fresh look and significant improvements its market share in this segment. 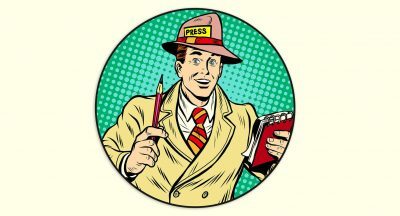 In 2013, we expect worldwide annual sales of 265,000 units,” he added. Thanks for the tip Bruno! The Gladiator will be present at the 2019 Jeep Camp event and will launch in EMEA markets next year.